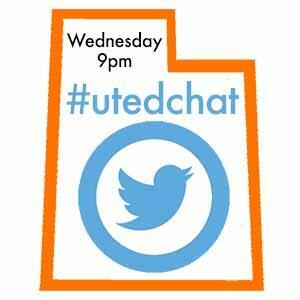 Tonight’s #UTEdchat is hosted by Dave Horan (@downrightdave). Dave is an Innovative Learning Coach in Alpine School District and a former 4th-grade teacher. He is also a member of the UCET Board and a Hope Street Groups Utah Teacher Fellow and loves being involved with both groups and helping teachers in Utah. Dave will be leading tonight’s #UTedChat with an awesome topic of Teacher Advocacy and Involvement. Prepare for some great discussion and a lot of fun tonight. If you haven’t already followed Dave via Twitter (@downrightdave) you should probably do so because it will help you to better follow the chat. As always, please be sure to include #UTedChat in your responses so everyone participating can see your thoughts and ideas. Q1- Who do you think the most influential decision-makers are in education? Explain. Q2- What do you know about how decisions about education are made at a state, district, and school level? What would you like to know? Q3 – What experiences have you had with your state/local school board members? If you haven’t had experiences, why would these relationships be important? Q4 – How do the state and local school boards affect your life as an educator? Q5 – Do you believe it’s important for teachers to be involved in local politics? Explain. Q6 – How do teachers influence decisions made about education on a school, district, or state level? Q7 – How can you help non-educators understand education issues on the ballot? Dave Horan is the 2018 UCET Outstanding Young Educator of the Year as well as the 2018 Freedom Elementary Teacher of the Year. He spent 10 years in the classroom as a 4th-grade teacher and is currently an Innovative Learning Coach in Alpine School District. Dave is a Hope Street Group Utah Fellow as well as an elected UCET board member. He is the Inspiration of #DaveWeek and can often be found on Twitter talking education and LOTS of Utah Jazz and BYU sports. You can follow Dave via Twitter at @downrightdave. – Chat Archive available via Wakelet. NOTE: The following information is taken from the Digital Citizenship Summit webpage. It has been posted below to help spread the word about the summit. Please consider attending and inviting parents, students and school community councils. Join hundreds of influencers at the third annual Digital Citizenship Summit (DigCitSummit) hosted by EPIK Deliberate Digital in Provo, UT. The theme this year is EXPAND. EXPAND the conversation around kids and technology. EXPAND our shared impact toward a more Positive DigCit culture. See our FAQ for more details about age and other requirements for youth attendance. For travel and lodging information, please see the DigCitSummit travel & lodging microsite created by our service partner, the Utah Valley Visitor's Bureau. The DigCitSummit is really about creating a movement of people making an impact — ripples — in their own spheres to change the way we as adults and kids alike talk about, teach, and engage the powerful and ever-expanding digital landscape of our day. NOTE: The information below has been pulled directly from the EdSurge Eventbrite posting. It has been reposted here in an effort to spread the word among tech leaders in Utah. Please consider attending. EdSurge, in collaboration with the Chan-Zuckerberg Initiative, is traveling around the country to learn the best practices from education leaders currently working in K-12 schools and district offices. This inaugural event will focus on personalized learning. What is personalized learning? Is it just another buzzword? How are you thinking about PL? Does technology play a role? It will be a night of collaboration, where the focus will be on learning from each other. You should walk away with new connections and a wealth of new ideas. EdSurge is hosting this event to learn from you, report on your stories around personalized learning, and look for potential writers for the EdSurge network. Come connect with folks from all over the Salt Lake City area, engage in great conversation, and learn from other awesome educators! Get Ready for the 2017 Legislative Session! The official page of the State Legislature is the best place to get updated info on Bills and other happenings during the sessions. It also has helpful tools like a list of all legislators and their contacts, a feature to look up who your representatives are based on your address, and live streams and recordings of many proceedings going on during the sessions. The Utah State Board of Education page includes documents outlining the USBE Legislative Priorities and tracking of Education Bills. One of the best features of this page is the “Public Education Legislative Summary” that is available after the session has concluded. This gives a really concise overview of all the outcomes of the session. It includes archives of past sessions, which can be interesting for comparative purposes. The UEA has a team that spends countless hours at every legislative session and keeps a detailed record of how the session is proceeding. In addition, UEA sponsors the “UEA Educator Day on the Hill” every Friday during the session for all educators who would like to become involved. The schedule and more information can be found on the above page. The Legislative Session can be an uncertain and stressful time for educators. The more we stay involved and informed, the better we are prepared to make a difference in our profession.